Paris attraction-guides.com - Paris, France attractions guide featuring Paris, Ile-de-France Jardin du Luxembourg information, including location and general Paris, Ile-de-France, France FR Jardin du Luxembourg information. - Last updated 30/10/2012. 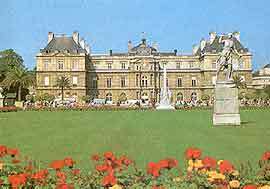 Jardin du Luxembourg feature 25 hectares of classical French design. Immaculate gardens with spectacular statues, Jardin du Luxembourg is ideal for boules and tennis and a favourite for children who can enjoy attractions such as pony rides, puppet shows and merry-go-round rides. Attractions at this popular park include a puppet theatre.